OpenDXM GlobalX is a secure web-based portal that allows you to exchange all your data via the Internet easily, and reliably. OpenDXM GlobalX has been optimized to meet the requirements of complex enterprise applications and offers you a number of unique advantages compared to conventional data exchange solutions. If you are looking for a new EFSS option, to protect your intellectual property at a higher level, or to just stop data from leaking out of your company, OpenDXM GlobalX can help you. Scalable secure data to meet the most exacting requirements – including a Public Key Infrastructure (PKI). Top performance and a high level of process reliability during data transfer – even for extremely large volumes of data involving multiple gigabytes. Decentralized data storage and distributed processing processes across firewall boundaries. Extensive rights and role management for the easy organization of work within the framework of projects and groups. Allows the distributed administration of user accounts. Standardized single sign-on (SSO) and full support of existing user management systems such as Active Directory Service (ADS) and others. Fully automated and transparent documentation of all processes satisfies compliance requirements and supports auditability. Standard components for integration in existing enterprise applications and for full automation of cross-enterprise data exchange processes. The flexible software architecture meets all existing network security requirements and allows easy integration in existing IT environments. 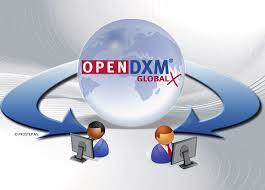 OpenDXM GlobalX‘s flexible licensing model enables you to tailor the solution to your needs – not the other way round. PROSTEP AG is recognized as a partner to the leading manufacturing companies worldwide. We count the top companies in this industry among our customers. PROSTEP is an independent consulting and solution development company, but also supplies ready-made product solutions. Our strength lies in a combination of industry-specific expertise, process know-how and technological competence. We offer our customers competent consultancy services, a comprehensive range of other services, and innovative solutions covering every aspect of product lifecycle management. PROSTEP is also Tetra4D partner. With 250+ employees throughout and 20+ years of experience, PROSTEP specializes in PLM consultancy services and engineering solutions. PROSTEP are experts in providing leading global manufacturing companies with the support they require for designing and optimizing their internal and cross-enterprise development processes.